Apple unveiled lots of new software during its WWDC 2016 opening keynote, but there was one thing that didn’t make it into the presentation and will likely be just as exciting to some people as the first beta release of iOS 10. Despite not being deemed worthy of stage time, Apple has been working on a brand new file system for its products, ranging from the Apple Watch all the way up to the Mac Pro. Apple File System, or APFS, isn’t ready for prime time yet and is pencilled in for release in 2017, but the mere fact it is in the works will be enough to give some Apple fans hope that HFS+ will soon be going away. 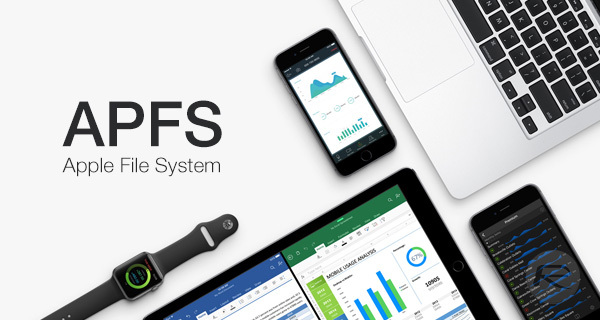 Announced away from all the buzz that surrounds all things WWDC 2016, APFS is aimed at every product Apple makes, unifying the underlying file systems that everything from the company’s wearables to its high-end workstations run on. So yes, that includes iOS, macOS, watchOS and even tvOS. Apple isn’t letting too much into the open just yet, but developers can have a further read up on what APFS will offer them via the company’s developer portal. The new file system has been packaged with macOS Sierra 10.12 as a Developer Preview, with the final build slated for a release some time in 2017. Unfortunately, in its current state, Apple admits that APFS has a few sizeable limitations. For example, as of this minute, APFS cannot run on Apple’s own Fusion Drives, neither can it be used as a startup disk, which is a shame. Furthermore, filenames are case-sensitive within APFS in its current state, which is something Apple will obviously correct long before putting the new file system in front of the public. Expect to learn more about the Apple File System over the coming months. I’m a little worried with afs bring depreciated. What is apple going to replace it with? Smb? If they do please base it on Samba because Apple has failed with its own smb horribly. It will be interesting to see if it is a complete revamp or just an incremental change. Improving content indexing (DB type features) would be useful. >> Furthermore, filenames are case-sensitive within APFS in its current state, which is something Apple will obviously correct long before putting the new file system in front of the public.